Looking for a perky penguin treat bag idea? This free printable bag topper will fill your needs. 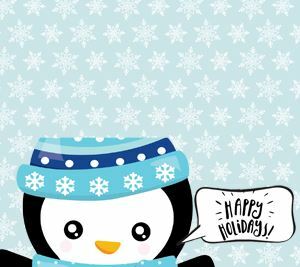 Snowflake background on a Happy Holidays penguin design.